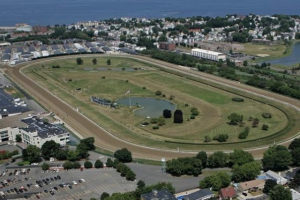 Since the proposal for Suffolk Downs redevelopment surfaced two years ago, there have been over 300 meetings with state and local officials and community groups in both Revere and East Boston. Last Wednesday night, The HYM Investment Group held a public meeting at the Rumney Marsh Academy to explain all the aspects of the project. “Welcome to history,” said Mayor Brian Arrigo at the start of the presentation, one intended as part of the community engagement process. 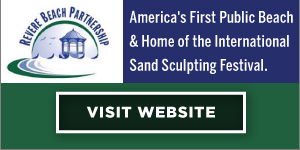 The proposed 161-acre development, with 60 percent on the East Boston side and 40 percent on the Revere side, will include residential (condos, apartments and 10 percent senior housing., retail and office uses (2.5 million square feet in lab/office space, as well as a 50,000 square-foot Innovation Center, a hotel, roadways, bike paths, open space and more just on the Winthrop side of the project. There will also be on-street parking and parking under the buildings. 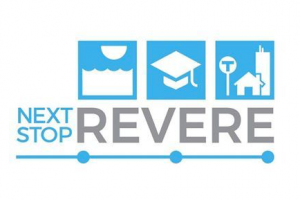 Attending the presentation were members of the Suffolk Downs Advisory Board, which consists of 25 people from around Revere, who were appointed after the City Council approved the special development overlay district for the project in March. The committee began its work in June. 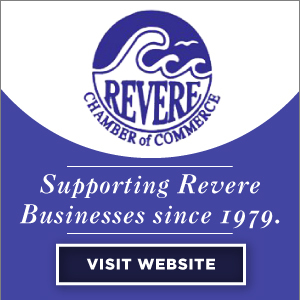 Bob O’Brien, director of economic development for the City of Revere, said the advisory group is comprised of extremely dedicated and well-informed people. He added that the Advisory Board meetings addressed specific areas including traffic and transportation. One large portion of the project is the widening of Route 1A from two lanes on each side to three. Another area proposed to change is the Beachmont area of Winthrop Avenue. Lanes will be reconfigured and signalization improved.